Christian Ross – Purveyor of Awesome | Attn: American car makers…. you got passed up a long time ago. For quite some time now car makers like Toyota, Honda, Subaru, and Volkswagen have made better looking cars and made them higher in quality all at the same time. Some new guys are even creeping up on you as well. After spending some time at the bottom of the barrel in the 70’s, 80’s and early 90’s Nissan has stepped up their game. 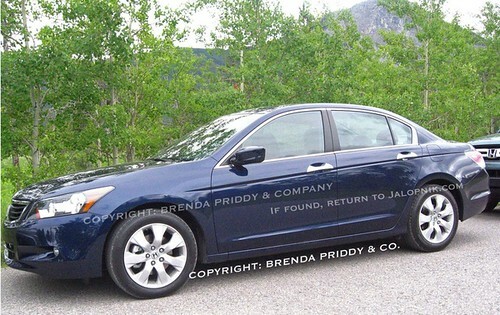 And one of my new favorite designs on the road, the Sonata by Hyundai boasts a 10-year 100,000 mile warranty. I will cut the American boys a little slack due to some new rides out this year and some of their higher priced vehicles, but why are you still producing Buick’s, most Pontiacs, Chrysler, and the little ditty called the Hummer. For some reason people actually buy that overpriced gas guzzler around here. I have noticed Ford’s version of our car too. It’s a sharp looking car. Both the GMC and Ford are very similar to ours. It has been a super duper car for us. My only complaints are not the best gas mileage and a long turning radius. Turns like a giant Ford Duly truck. That’s annoying!